I got some good photos walking around the other day in New York (Wednesday, May 23). 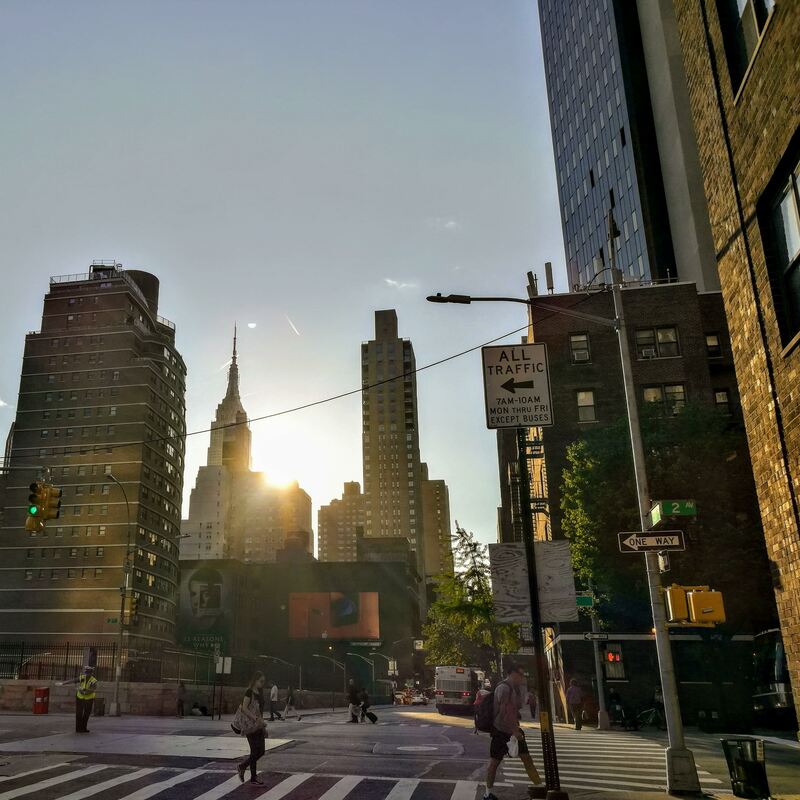 I gathered in the morning with my pastor-friend Ben to do some work in the Flatiron district at 26th street and then later walked North and East to 38th street as far East as the East River, and then back West to 38th and 2nd where I had a small group meeting. That is, a meeting with a small group of Christians I gather with on a semi-regular basis to eat and study scripture. I love taking photos. I use an Honor 8 phone, a midrange-priced cell phone (made by Huawei, a company which the US intelligence community says not to use ) that happens to have a really good camera (The phone is fragile though and the screen shatters easily. I have been through 2 screens already. I probably need to find a new go-to phone but I’m used to this one). I edit the photos I take with the Google Photo app’s built-in editor and then maybe put an instagram filter on there too. Sometimes people say nice things about my photos on instagram and I feel like saying I cheated, because the Google app can can and does make regular old photos look a lot more stunning. It’s a little creepy too, how Google will randomly choose photos from the cloud to gussy up and present to me. You see all kinds of things in NY. Trump was in town on this day so there was an increased police presence, a generalized air of expectation, and then later on in the evening interminable traffic delays. I engaged one of the traffic cops in conversation (you can see him in the photo) and asked him if the President was in town. “Trump’s in town,” he affirmed. I asked him what for. “Oh you know, some political things, or maybe some business things, you know, with the tower.” It was pretty clear the guy had no idea but just wanted to talk, which was fine cause I did too. If you watched the video then you know that no one is allowed on the island. (“U Thant” touch this). Accordingly, the police boat shooed the jetski away. I have to wonder if the police boat is a constant presence near U Thant Island, or whether it was part of the beefed-up Presidential visit security. 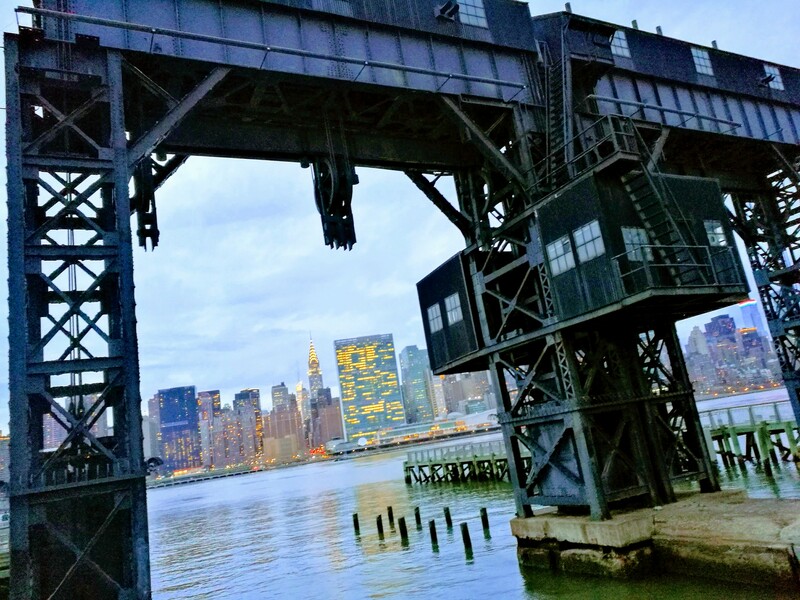 Behind U Thant Island is Gantry park, in Long Island City, Queens, which offers stunning views of the NYC skyline. 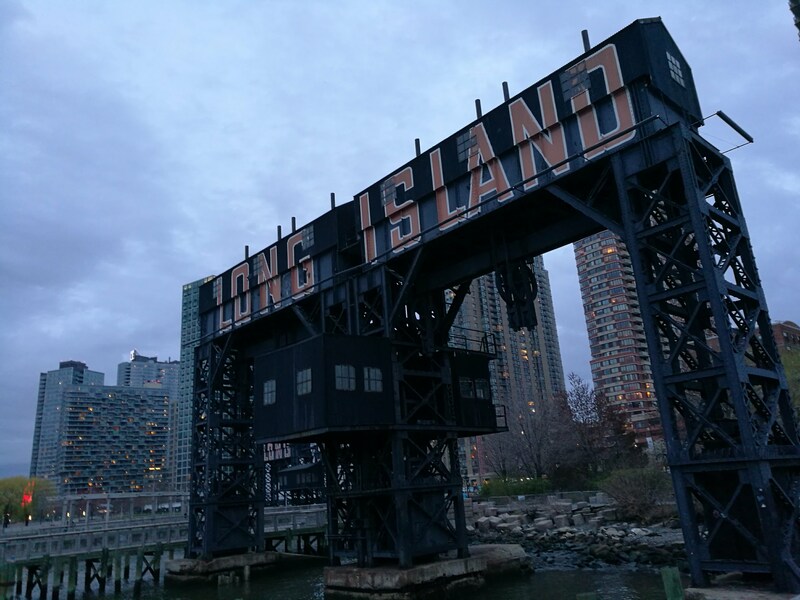 You might ask why it’s called Long Island City if it’s not in Long Island. The answer is that technically Queens (and Brooklyn) are part of Long Island. They comprise the Western Part of Long Island. But when people use the term “Long Island” they usually mean the eastern part. That is, the suburbs. By the way, Long Island is the 11th largest island in the US and larger than Rhode Island, which technically has the longest State name of all 50 US States (State of Rhode Island and Providence Plantations)! 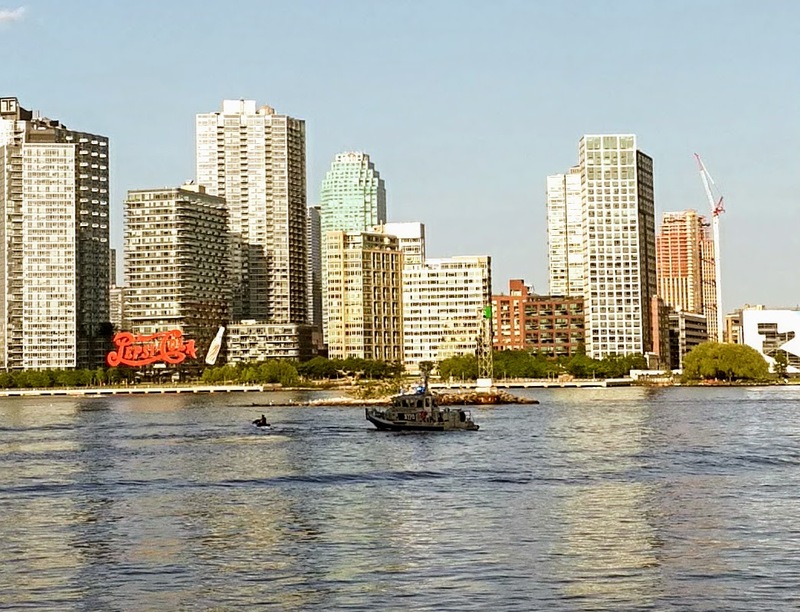 I hope you like these photos of Manhattan, the East River, and Long Island City, Queens (The Queens photos are from April 24). I turned the red filter way up. Can you tell? 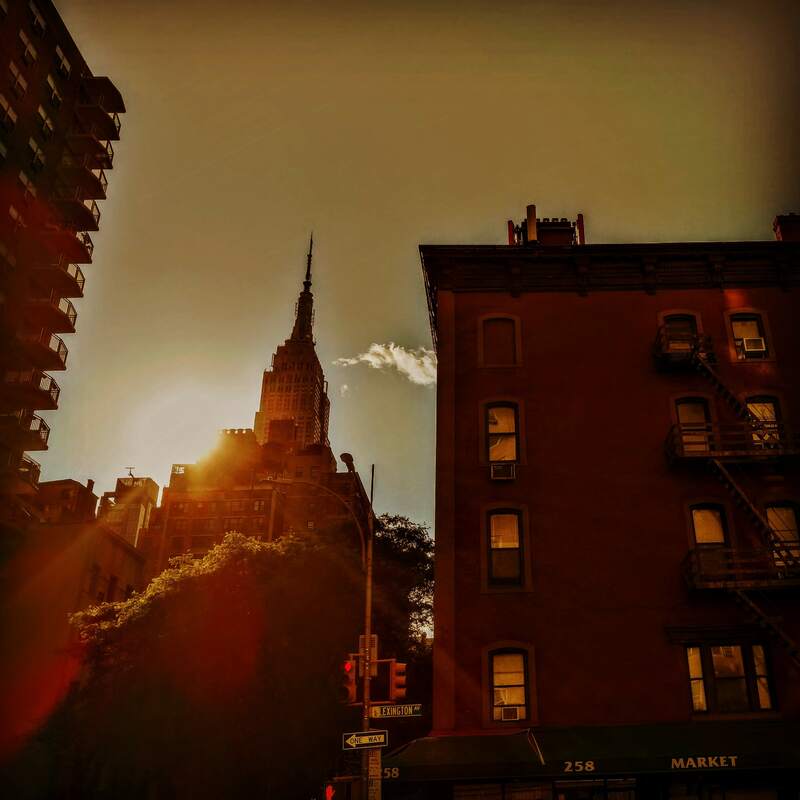 I’m not sure what was causing the sun to dapple that building on the right but I liked it. NYPD Police boat shooing away jet-ski from U Thant Island. If you didn’t watch the video about U Thant you really should. 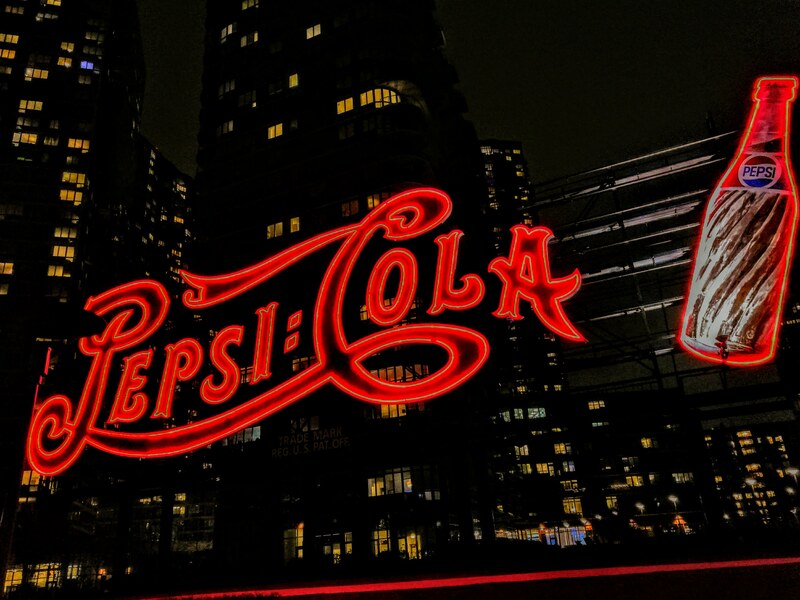 Pepsi Cola Sign by Night. Gantry Park. View of Manhattan Skyline from Gantry Park. (Panoramic view which got kinda bent). On this night, the Empire State building (over to the far left) was not lit, in honor of the victims of the terrorist van attack in Toronto the day before. View of Manhattan skyline framed by one of the eponymous gantries. 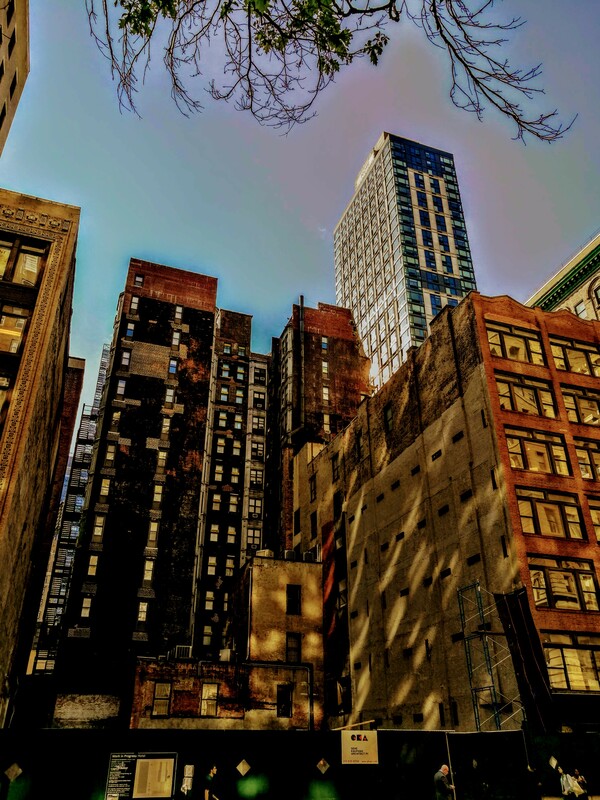 Posted on May 31, 2018 May 31, 2018 by Jason Harrod	This entry was posted in History, History, Manhattan, New York City, Photography. Bookmark the permalink. Love the photos. Going to check out U Thant Island.